Garri is a major fufu recipe in Nigeria. It is processed from cassava. I am not sure where the word Garri originated from but something tells me that it is derived from the Hausa word for grain: garin. In its grain form, the staple is referred to as Garri (or Gari in other West African countries). 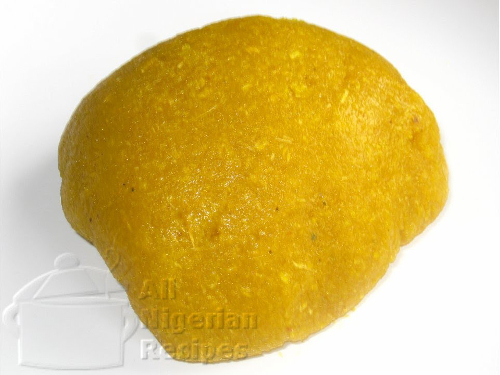 After preparation, when it is in dough form, it is referred to as Garri or Eba. Garri/Eba is served with all Nigerian soups. You can add cold water, sugar, milk, groundnuts (peanuts) and drink it like cereal. Prepare it like in the video below, make small lumps of it, dip in any Nigerian soup and swallow. See how to prepare Garri in the video below.